This last year is one I will always cherish. There were so many milestones and accomplishments in 2017. Here are my top five. 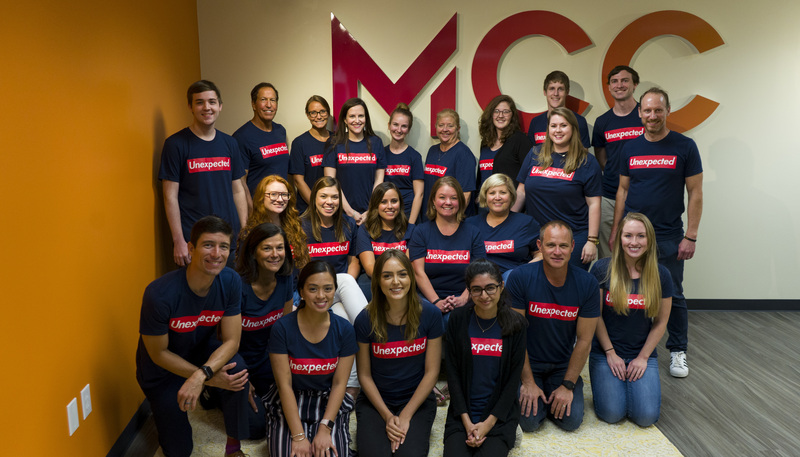 MCC was awarded Texas Instruments’ “Supplier Excellence Award.” Out of 12,000+ suppliers, Texas Instruments identifies and recognizes a select few each year that they see as the very best. MCC was honored with this award for the second time. Receiving this prestigious award a second time was even more rewarding and downright amazing! Texas Instruments is innovative and collaborative beyond description. We truly appreciate the opportunity to work with them and contribute to the company’s success. We moved. Our new offices have amazing upgrades in all areas… from office expansion to incorporating some of the newest marketing technology and software. The MCC management team’s commitment to this move made the office relocation feel seamless with virtually no hiccups. The response from our clients and suppliers has been very positive with everyone enjoying the new digs, especially our new conference rooms. Of course, our team members are thrilled about their new offices, and I finally have a window office with a beautiful view of great things to come. ADLINK: A provider of embedded computing products and services to the test & measurement, automation & process control, gaming, communications, medical, network security and transportation industries. Hoover Ferguson: A provider of the highest quality liquid handling solutions and services to the chemical, food and beverage, petrochemical and other related industries. SpotSee: An end-to-end solutions provider that helps customers spot damage in their operations in real-time. Stream: A provider of highly resilient, scalable and efficient remote data centers throughout North America. WolfePak: An oil and gas accounting software company. We are excited to be a part of the marketing communications team for these companies and look forward to helping make each of them more successful in the coming years. One of our longest-standing clients (Harris CapRock) was acquired by Speedcast at the end of 2016. We are very proud that we earned the confidence of the Speedcast management team to continue as their agency. The primary emphasis in ’17 was raising the level of press coverage. We hit the ground running in media relations with increased press releases, contributed articles and interviews. We distributed a total of 32 press releases, which generated 10,606 pickups. We secured and developed 25 contributed articles in key media markets. As a result of our activities, Speedcast received 59 media briefs, 96 feature articles, 223 financial news articles, 4,450 mentions in news articles that led to 15,434 pieces of coverage and a year-over-year media coverage increase of 182 percent. Our experience and expertise in Speedcast’s market really paid off for them. It has been a terrific experience to work with very talented people that are committed to the success of our clients and our organization over these many years. I am truly honored to be a part of this agency.